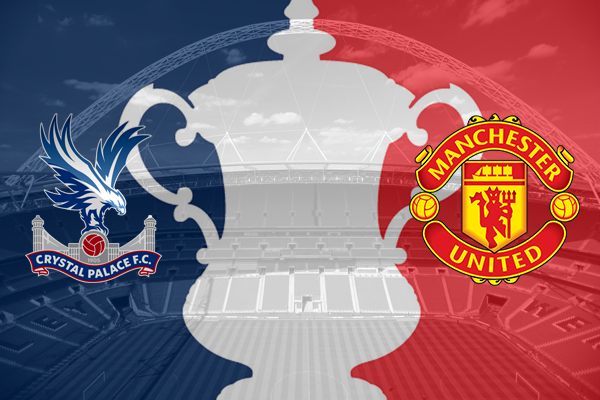 Local lad Lingard became the hero as he won the FA cup in extra time for ten-man United with a blistering strike that lit up an otherwise ordinary final. Manchester United have enjoyed a special relationship with the oldest club cup competition down the years that goes back to their first win back in 1909. Since then they have lifted the trophy eleven times but hadn’t tasted success since 2004. So, here was an ideal opportunity at the end of a poor league season to equal Arsenal’s record by beating Crystal Palace and lift their first piece of silverware in the post-Sir Alex Ferguson era. Louis van Gaal and his players made a point of saying that this one was for the long-suffering fans who have had to endure yet another campaign in which United have failed to deliver on the promises of a squad that unfortunately didn’t materialise. In what many believe, and the majority hope will be van Gaal’s last match as the manager he chose a starting XI that didn’t hold any surprises: De Gea, Valencia, Smalling, Blind, Rojo, Carrick, Fellaini, Rooney, Mata, Martial and Rashford. Rojo came back into the side at left-back and Carrick kept his place in midfield in what could be his swansong for United. 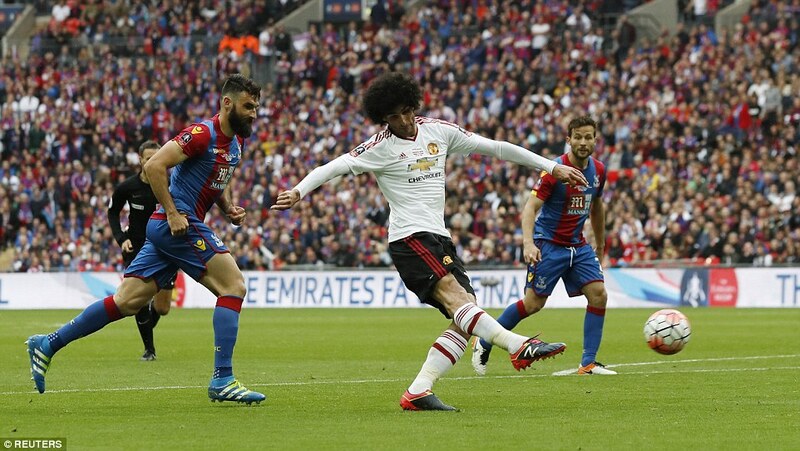 Fellaini was preferred to Herrera to partner Carrick along with Rooney. There are always players who will be left disappointed in not starting a match of such importance among those must have been Lingard who was left on the bench in favour of Mata. However, the one United player who must have felt devastated to be left out of the squad all together had to be Memphis who has endured a season in which his confidence seemed to have taken a battering and his omission won’t help him in any way. Palace got the final underway amid a wonderful atmosphere provided by both sets of fans. Right from the off it became abundantly clear that Crystal Palace’s tactics involved getting all the players behind the ball and use their pace on the counter-attack. United played the majority of the first half around the edge of the opposition area but failed to take advantage of the chances that came up. Too many times they attempted to play through the middle with Rooney without the use of the wings. Palace were happy enough to stand off Rooney and limit his passing options. The frustrations of the United players were clear for all to see as they were punished by the referee with three bookings for Smalling, Rojo and Mata. 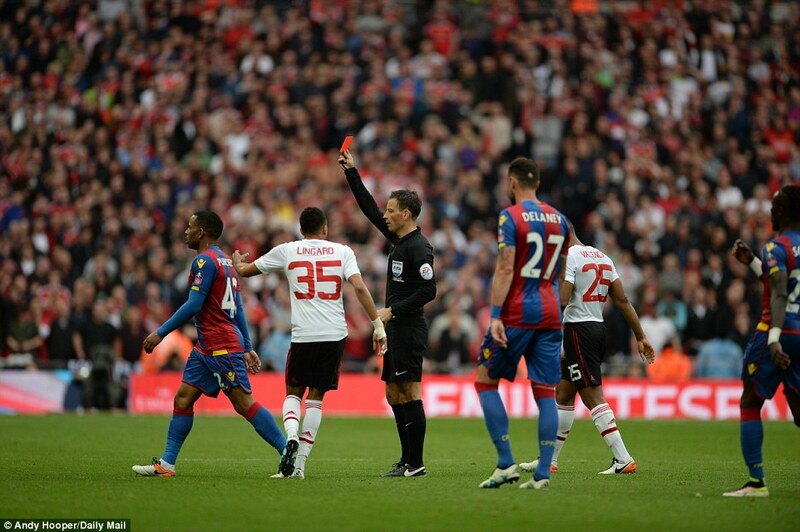 Referee Mark Clattenburg didn’t exactly endear himself to the Palace fans as not once but twice he didn’t allow the advantage to be played following fouls by United. On the first occasion, they actually had the ball in the net but the play was called back and the second would have seen Ward through on goal but again Clattenburg blew his whistle much to the despair of an animated Palace manager Pardew on the touchline. The first half ended, not for the first time in United’s season, goaless, as they laboured in a pedestrian fashion at times. The match needed an injection of pace and imagination if goals were to come. The United defence didn’t really have a lot to do as most of the play was up at the other end. There were flashes of brilliance from Rashford and Martial who both spent the half looking for a way through the tight Palace defence. Carrick, in what was probably his last match, gave the ball away far too easily in dangerous positions and his lack of pace showed against the younger Palace players. Van Gaal made no changes at the start of the second half. The match didn’t take long to spring into life as first Fellaini crashed an effort against the bar after great approach play from Rashford. Then Martial saw his headed effort come back off the post. It was looking as if it could be one of those days. Rojo’s final came to an end on the hour mark when he was caught by a late lunge from Delaney that on closer inspection warranted more than the yellow he received. The Argentinian did try to carry on but was replaced by Darmian at left back. This was followed by the departure of youngster Rashford after a defender had stamped on his knee. The way Palace were aggressively going into tackles was reminiscent of the 1990 replay. Ashley young replaced Rashford and immediately slotted in at centre forward with Martial on the left. A positional tactic that not for the first time baffled the fans. All of Palace’s plans came to fruition in the 78th minute when they took the lead through substitute Puncheon who managed to beat De Gea from the tightest of angles. Not a mean feat. 1-0 to the Eagles and boy did their fans celebrate. Ten minutes to go in the final and fans wondered how United would react. The answer came so quickly, within two minutes to be exact. United levelled when Rooney decided the only way past the tight Palace defence was to run at them with the ball which he did with fantastic effect. Eventually, he sent over a cross which Fellaini chested down into the path of Mata who dispatched a shot that found the net after a slight deflection. The game had come to life and with extra time looming van Gaal introduced Lingard for scorer Mata. 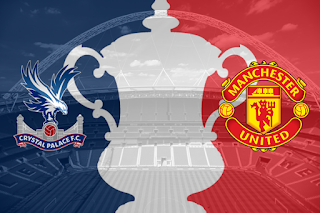 The Red Devils looked to have the upper hand at the start of the first period of extra time as the Palace players looked shattered both physically and mentally. Only former red Zaha continued to be a thorn in United’s defence and it took heroic defending from Blind to prevent a goal. Then as is always the case with United they made it harder for themselves when Smalling was sent off for a second yellow card after he had brought down Bolasie. To be honest, it was a harsh booking for Smalling but he was deceived by the forward’s pace. Down to ten men, it would take a huge amount of effort for United to win the match before being resigned to penalties. United’s player of the season came to the rescue in the second period as De Gea managed to get a boot to deny an effort by Gayle. Then a chance for Carrick to write his name in United history as he found himself unmarked in the Palace area only to send his header wide of the goal when it looked certain he would become the match hero. That honour fell to the feet of Jesse Lingard who netted the winner in the 110th minute. A cross from the right from the ever busy Valencia was only half cleared and there was Lingard lurking in the box to smack home a shot that was so sublime in its execution it will one of those Wembley goals that will be drooled over with every viewing. There was still time for De Gea to thwart Zaha as he dived bravely at the wingers feet and received a knock on his head for his troubles. When the final whistle blew it prompted jubilant scenes from the players and the bench as the reality sank in that they had actually won the cup after being reduced to ten-men and came from behind to fully deserve their victory. Even Louis van Gaal leapt from the bench jumping with joy into the arms of his assistant Ryan Giggs. In all reality, it wasn’t the greatest of finals but a lot of that was down to the way Palace had set out their stall. United were left frustrated many times but to their credit, they never gave up even when they had fallen behind and a player short. Performances from the likes of Blind, Mata, Fellaini and Martial kept the dream alive. However, Rooney was the man once again who was at the centre of all United’s moves and even though he was guilty at times of wasteful passes it was his inspirational run that provided the equaliser. As regards the man of the match then that would have to go to Valencia who completed his duties in defence and attack to great effect. A last special mention has to go to the hero of the day Jesse Lingard. How refreshing it is in this modern game of football and its millions that it was a local lad from Warrington who came up through the ranks at United to score the goal that will be forever remembered and celebrated by United fans all over the world. 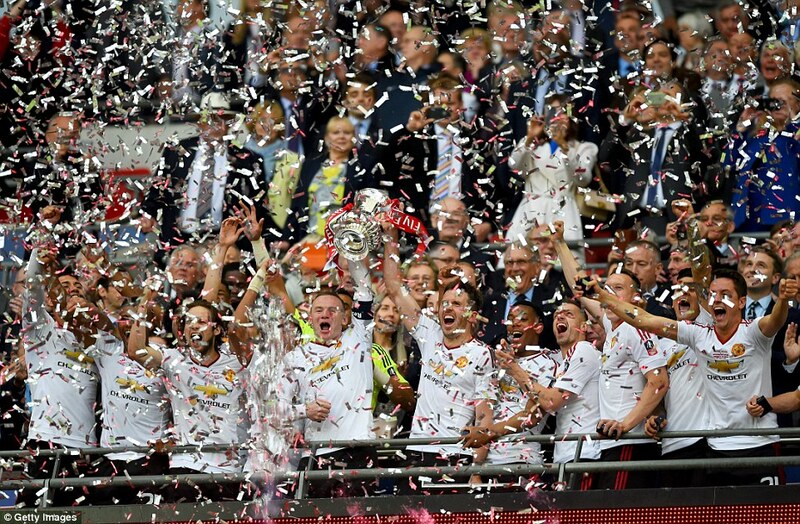 With the cup victory United have finally ended their drought with the first major trophy in three years. The big question has to be whether it is enough to save van Gaal’s tenuous position as manager? No sooner had the final whistle blown the media vultures circled the Dutchman looking for answers. At least let the man celebrate the victory before writing his obituary. There will be plenty of time for that.